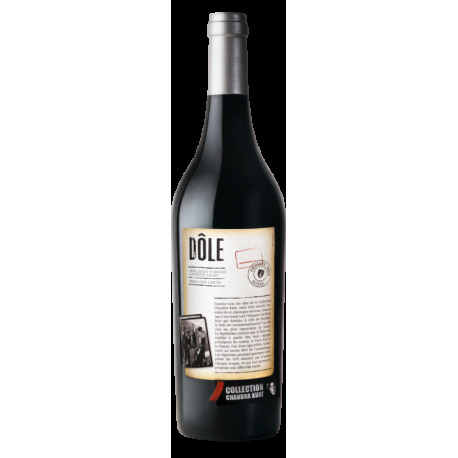 Dôle is a traditional blend made from a majority of Pinot Noir (+50%) and Gamay. Unique collection of wines from rare and indigenous grape varieties and local traditional wines from the Alps designed as an homage to old Valais winemaking. Tasting Notes: Pleasant and light wine. Dry, mineral it reveal notes of strawberry and plum, and a touch of clove. Its subtle tannins and balance make it a real treat for the palate. Gastronomy: Hard and soft cheese, Italian cuisine, Asian cuisine, vegetables, seafood, chicken, rabbit, lamb, Game, pork, horse, beef, aperitifs.